The Palms Archives - I am not a pie. Oh you lucky dogs, two blog posts in one week. We made a quick trip to Las Vegas last week. We flew out on Thursday afternoon and flew home Saturday morning, like some bizarre weirdos because who leaves Vegas on Saturday besides bizarre weirdos? Well, we did, and I was so happy to do so (see my previous post on introversion). Las Vegas is not an environment in which the introvert generally flourishes. The dinging, blinging half-life of the casino gets old fast, and creates in me an intense longing for a window that looks out on greenery. Still, the trip was awesome. It was awesome because I was traveling with my own personal Vegas expert, who planned and executed the entire trip to rectify an omission in my life. A serious omission. A nearly inexplicable omission. The story of that omission begins on a Montana ranger station in 1973. Me in all my 13 year-old glory, me with my self-cut bangs and my big-legged jeans covered with patches and embroidery, and of course, me in my tank top, because that was my favorite outfit. Jeans of enormity and texture, and as little top as possible. There were also some giant sweaters, one with a frayed heart appliqued on it, and moccasins that were somewhat too large, and a chambray shirt worn to shreds. I actually didn’t look like that when I arrived in Montana in seventh grade. Before that, we’d been living in a tiny town in Booneville, Arkansas. I was a fairly normal seventh grader in Arkansas, wearing normal clothing, getting straight A’s, part of a family of good singers who were welcomed and utilized in choir, and called to perform at patriotic rallies and the like. Teachers seemed to enjoy me, despite my need to argue at length about why McGovern should win with my Social Studies teacher. I was liked by most of my classmates because I was funny, and pursued by older boys because I was physically mature. I was happy in Arkansas, and I liked who I was when I arrived in Montana. But a few months there turned me into someone else entirely. My dad was a forester, and his assignment took us from Arkansas to Montana. We lived in a little log house up the Gallatin River from a tiny town called Gallatin Gateway, on the Squaw Creek Ranger Station. The name has since been changed to something else (let’s all be glad together), and our little log house is gone. But Gallatin Gateway is still there. Back then, the people who lived there called it Gateway. To me, it seemed that the adult residents were all some configuration of Christians, alcoholics and ropers (what they called themselves instead of cowboys). Whatever their children’s dreams might have been, the rigid suffocation of conservatism and poverty meant that their children were in training to be the same. Just looking at the photo above, you can see that I fit in splendidly, yes? I had my own music, of course, leftover from teen idol worship of one longhaired guy or another. 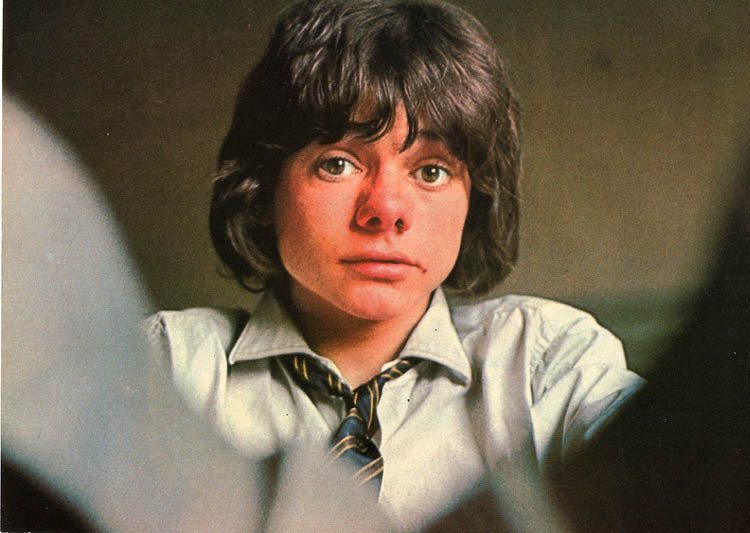 But my sister and I were outgrowing The Partridge Family and Jack Wild. We were ready to move on. We tried out where to go next with 45s galore and the occasional LP. When it came to albums, we had Cat Stevens, mostly. I was bewitched by his bearded male beauty. Whatever it is in me that loves a suffering man, it was incubated in his tortured, emotional voice. But soon, I had a better source. My older brother was in art school in Minneapolis, and he brought home record after record. And such records they were. David Bromberg, John Prine, Jackson Brown. Joni Mitchell’s Ladies of the Canyon, Blue, Todd Rundgren’s Something/Anything, Runt, A Wizard A True Star. He would bring them home to share with me, and then he’d just leave them. Maybe he knew he’d be back home after a year. Or, just maybe, he’d watch me put a vinyl LP on the turntable of my dad’s expensive stereo, wrap those giant headphones around my ears, and escape my painful, difficult adolescent nightmare. My brother was not about to take away my magical door. That was the year he brought home this record. This began a love of Bonnie Raitt that has stretched through my entire life. I have almost every record she’s ever released. The first five records + Fundamental are so deeply ingrained in my brain stem that I can sing every syllable. My brother and I had a trifecta: Woman Be Wise, Give it Up, and Love Me Like a Man, him playing guitar and me singing, performed more times than I could possibly count. I have sung her songs at karaoke and coffee shops and in acting class when we had to do some silly exercise about not breaking character. I have sung them in the shower and on my way to work and on my way home. My daughters will confirm that even though they had their own tastes and preferences, Bonnie sang the soundtrack of their childhood because I picked the music on car trips. I bet you’re wondering about the point, here. The point is, I mentioned to my conversational partner that I’d never actually seen Bonnie in concert. There was no reasonable explanation for it. Everyone else had seen her. People who didn’t love her nearly as well as I loved her had seen her. Sometimes, I would actually fib and say that I had seen her, because it was embarrassing that I’d never managed to see her live after all these years. This is how, last Friday night, I found myself in a nice-sized concert arena inside the Palms Resort and Casino in Las Vegas, Nevada. This is how, after forty-three years of listening to and loving Bonnie Raitt, I finally saw her take the stage for the first time. And oh, how she takes a stage. She’s 67 years old, tiny, trim, with that silvery streak in her big red mane. Her voice is as strong as ever, her guitar work as magnificent. She did new stuff, old stuff, good stuff, fantastic stuff. She reached way back, sending me sky-high with delight with one of my old standbys, “Woman Be Wise.” She also sang the saddest song ever recorded. It’s the song my then-husband heard on his way to work that made him pull over and cry for twenty minutes because when he heard it, he understood that it wasn’t my fault that he didn’t love me anymore. It’s a song that’s almost too painful to endure when you’ve had your heart broken, but you endure it because it hurts you so beautifully. We have all had to forgive Bonnie for that song, and we should all thank her for it, too. And I got to see the show thanks to, and alongside, my personal Vegas expert, my conversational partner, my guy. There is no one on earth who would have made it happen so well or so fast. And there is no one in the world I’d rather have shared this experience with. Here’s a little something about my guy. He has what my friend Grant calls “tells.” Little moves and sounds that give him away completely. When Bonnie started to sing this one, my sweet man was all tells. So sweetie, here you go. You picked it. And for those who thought my dream-come-true might be a Vegas wedding, nope. It was Bonnie.